Some may think that the term “New Order” implies something much more modern than “Old Order” when connected to the Amish–perhaps even an Amish group that accepts technology, cars, and modern living. In fact, as Amish scholar Steven Nolt points out, the New Order Amish would best be considered a subgroup of the Old Order Amish. The New Order Amish could be described as more progressive than Old Order Amish in some ways, but more conservative in others. 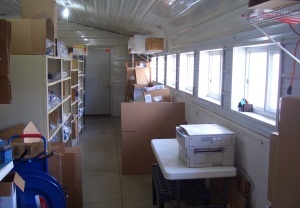 At the same time, New Order Amish differentiate themselves from Old Order Amish in key ways. The New Order Amish originate from a pair of movements in Ohio and Pennsylvania in the 1960s. The key driving factors in the Ohio schism were twofold–one was a belief that controversial practices such as tobacco and alcohol use should be eliminated, and that “clean” courtship should be implemented for youth (as opposed to the practice of bundling found among some Amish). Secondly, reformist Amish wished to introduce a more evangelical element into the church, concerning personal salvation and mission work. Amish in this group felt strongly about assurance of salvation, Sunday School, and church outreach. The division which occurred in 1966 in Lancaster County shared some similarities with the Ohio division, but was more focused on technology. New Order Amish are less commonly known as the “Amish Brotherhood”. Currently, the largest New Order community is found in the Holmes County settlement, consisting of 18 church districts, while the Lancaster County settlement contains just one or two districts. There is also a spin-off group found in Holmes County known as the New Order Christian Fellowship, or New New Order. Where do New Order Amish live? Despite what the name might seem to imply, the New Order Amish share many of the same cultural traits as the Old Order. They drive buggies (albeit ones which may be slightly fancier), wear plain clothing (sometimes with more colorful fabrics and for men, more-neatly trimmed beards and hair), speak Pennsylvania Dutch, and generally do not have public electricity in the home. New Order homes and barns are similar in appearance to those of Old Order Amish. New Order Amish may be confused with the Beachy Amish, a group which is theologically similar to the Old Order Amish but which accepts a higher degree of technology, including cars. Do New Order Amish use more technology? New Order Amish may be more accepting of certain technologies such as phones in the home. Amish researchers Hurst and McConnell note that “the differences in technology use between the Old Order and the New Order are relatively minor” (Paradox, Hurst/McConnell, p.52). Hurst and McConnell also state that car ownership among Old Order youth is more common, as is cell phone usage among Old Order church members. Unlike the Old Order, New Order Amish generally do not have any restrictions on air travel, and sometimes use this form of transportation for business or vacation travel. One theological difference is the belief in assurance of salvation. Just like other Christians, Amish interpret the idea of salvation differently. New Order Amish are among those who see evidence for assurance of being saved, as opposed to the more common belief of a “living hope” of salvation seen among most Amish. There has been some melding of this view with some Old Order districts in Holmes County in particular, and some of the Old Order districts have come to share similar views on this issue. Another key issue is that of courtship standards for young people. New Order Amish believe strongly in clean courtship, and as detailed above, this was part of the impetus for the Ohio group to break from the Old Order churches. In recent times, other Amish, including those from the Old Order have been sympathetic to this view as well. For that matter, “bundling” (the practice of a courting couple lying together, clothed, on a bed) is confined more to the more conservative Amish groups. Another area where the New Order Amish are generally ‘cleaner’ than the Old Order Amish as a whole is tobacco and alcohol. 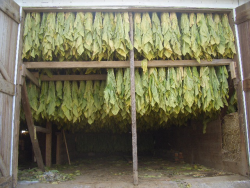 Though numerous Old Order Amish are against involvement with tobacco, some Old Order Amish do grow and even use tobacco. New Order Amish universally see this as morally wrong and have come out strongly against it. New Order Amish feel that tobacco is destructive to the body, and something that Christians should not be involved in, either in personal use or in producing it for others. New Order Amish take similar views on the use of alcohol, which is used, usually in moderation, by some Amish. Another distinguishing marker is Sunday School. Most but not all New Order Amish have Sunday school, involving both adults and children, on the “off” Sunday (the alternating Sunday when a given district does not hold church service). Similarly to an Amish church service, this will take place in a congregant family’s home, and will involve some singing as well as reading, with each member taking turns reading a few passages. There will also be discussion of the reading, with commentary led by the ministers. New Order Amish may have songbooks in both English and German, allowing outsiders to participate. Songs are typically faster and more contemporary than those sung from the Ausbund. Sunday School is followed by a fellowship meal, like the one that follows church service. Old Order Amish use this “off” day as a chance to visit relatives or other churches, as well as time for Bible reading and devotions in the home. However they have generally not seen the need to devote a formal period to Bible study in the form of Sunday School. Organized Sunday school meetings are another way in which New Order Amish resemble more evangelical strains of Christianity. In keeping with their somewhat evangelical bent, New Order Amish tend to be more open to outsiders. Old Order Amish of course welcome outsiders into their services as the New Order do, but New Order Amish will be more likely to deliver at least part of the sermon in English. Some New Order Amish churches, particularly one North Carolina congregation at Yanceyville (now defunct) have attracted a large number of Amish seekers, resulting in a high percentage of members from outside the ethnic body of Amish. Other New Order Amish are likely to be involved in mission work and even to travel longer distances, owing to the allowance on plane travel. Some New Order Amish youth have been involved in teaching English to Old Colony Mennonites in Mexico, for example, while others have done mission work in places as far away as Asia. Generally the New Order tends to be more oriented to the world and more accessible to the “seeker” community. This greater willingness to engage the world is even evident in the publishing sphere. The most obvious example is Ohio bishop David Kline, who has published two books on nature and sustainable agriculture, as well as a small farming magazine which has a substantial audience among non-Amish. Statistics show that New Order Amish tend to keep a lower percentage of their children in the faith, somewhere around two-thirds (in comparison to the 80-90% or higher retention rate of other Amish afffiliations). This may be because of greater openness to the world through their outreach orientation, and an ideology more closely resembling “higher” churches. At least partially for this reason, some criticize the New Order Amish as “Beachy Amish without the cars”. New Order and Old Order Amish are cut from similar cloth and share much in common, including a similar approach to technology, use of horse-and-buggy for travel, and plain dress. While the New Order Amish may be considered more “progressive” on certain matters of theology, missionary work, and evangelical outlook, and some technology (in some cases), they may be seen as more “conservative” when it comes to issues like courtship, alcohol and tobacco, certain technologies such as the cell phone, and in retaining farming as an occupation, which they do at a slightly higher percentage than members of Old Order churches. There have been and continue to be substantial disagreements between the two groups. Old Order Amish may see the New Order as taking a holier-than-thou attitude, and being too forward in their assertions about religion, particularly concerning assurance of salvation. Hurst and McConnell find that the most common criticism is that New Order churches “are unstable because their young people are more likely to be lost to other Anabaptist churches”. New Order Amish may find fault with Old Order Amish for being too lenient concerning youth behavior, or too reliant on tradition over spiritual truth. At the same time, in recent years both sides have begun to see more eye-to-eye on certain issues, particularly in Holmes County, where the two groups live side-by-side and cooperate in many spheres. Hurst and McConnell note that “a sizable number of Old Order individuals, including church leaders, are quite attracted to the New Order positions on both spirituality and control of the youth.” There is also a degree of openness to the idea of assurance of salvation among Old Orders. 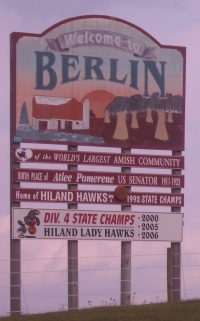 The Amish have a long history of schism, resulting in groups such as the New Order Amish as well as more conservative affiliations such as the Andy Weaver Amish church and the Swartzentruber Amish. However, today many Amish seek to play down differences, seeing past church splits as painful parts of their history, while emphasizing common ground. 41 responses to What’s the difference between New Order and Old Order Amish? Katie I am – may I take a stab at answering your question? Amish preach/teach that to (1) follow tradition, (2) obey parents, (3) strict adherence to all rules in the Ordnung, and (4) be baptised Amish is the only hope for heaven. Modern technology therefore is not tradition. For the most part Amish live the way they do in an effort to work out their salvation. Your questions are welcome invitations to learn. All religious beliefs have their own faults & imperfections, but the Amish beliefs are so very close to blissfulness & peace that technology is not needed in their society to operate & function as a community. So let them live their life without stuff that clouds the worldly minds. They made their choice so do’nt push worldly garbage onto them. From living close to Lancaster, PA and having friends who were old and new Mennonites it is easy to see why this wonderful group of people have chosen to live this way. To just see them, the peace of the Lord is with them Peaceful, devoted, so much belief in the Lord. Wonderful religious practices, growing and eating so healthy, and doing what the Lord speaks to all of us in the Bible. Technology is good but it isn’t doing people any good. So much evil is coming from technology that is destroying families and children. Take time to think about it. At age 65, we didn’t have all the things that children have today and we grew up to be responsible, dedicated, and hard working adults. Discipline was taught, and respect for our elders of expected. Yes, I do know what the Amish and Mennonites are peaceful with the way they live. The best we can do around them, is leave them be at peace, and not ridicule them, which too many tourists have done. It is sad and breaks my heart for them. The way I can answer you question, would be to say it is their deep spiritual heritage. It is something they don’t want to let go off. The Amish across the board are extremely humble and private people. Their deep spiritual believes are lived out. We read the Bible, we know what the Lord expects of us and depending on the deep abiding faith each of us have, and and studying the Lord’s Word. Each of us may choose not to subject ourselves to another way of living. We may choose not to socialize with certain people, or certain music, or wear certain clothing. And that’s okay? Honestly, it’s okay not to understand. But good to learn about things like this. I hope someday you will get to witness how the Amish, Old and New, live, by taking a trip just to be around them. Some may speak some may not. They are not snobby, it’s just any facet of their belief. You question was great though!! That is a good question, and I have your answer. Majority of the “Plain Amish” do not want access to the modern day things we have is because they do not want any influence from the “outside world.” The faith is that strong that only the Lord will lead them and care for them. In all honesty if we didn’t have the TV, Radios, Games, etc. that people from age young to old this nation and world would be in a much better situation today. Do you realize that we are constantly hearing about shootings, robberies, negative, awful, depressing, things that is warping us unless our individual faith is strong enough to see us through. With all due respect, and I do sincerely mean that, evil is not derived from technology. That’s just an ignorant statement. Evil people choose to be that way and they come from every walk of life, including the Amish. I’m a religious Orthodox Jew, and our community is similarly insular and we avoid most media, but there are just as many criminals among us as there are in the next, non religious community. My personal2 cents is that perhaps if people took the time to know and raise their children, we wouldn’t have shootings and rampant drug use and unwanted children being born, but the truth is, as humans, we’re all failing at that. We need to support each other and live well for the Lord despite all we can be exposed to. The best way to show the Lord is to live for the Lord and I just don’t see much of that done with humility, but with self-righteousness. It’s a sad state, but technology and media isn’t the root of this evil. That’s ridiculous. Case in point: my kind, pious and charitable neighbors lovingly raised their children. One is a meth addict and criminal and never so much as saw a TV show or listened to secular music a day in their life, even today as this person still lives in the community. Chasyah, I am Amish and I agree with what you have written. I can also think of people who have turned out “badly” who were not exposed to “technology” and history teaches us evil existed long before the internet, smart-phone, or whatever. In choosing to be very selective, I am not hoping to avoid becoming “evil” so much as being careful about what I choose to occupy my thoughts with and how I relate to my fellow man. Thank you for your response, Mark. Regina’s comment just set me off I’m especially pained that the young woman I speak of was sexually abused by a former neighbor who had thank G-d, been in prison since before I moved here. It breaks my heart and it happens in all walks of life. I know only a small amount of Amish culture as I’ve never walked in your shoes, but I have great respect for the Amish and respect their rejection of certain things. A lot in religious Judaism is similar, only that we generally use most modern conveniences, expect on the Sabbath. When I visit my relatives north of Philadelphia, I get mistaken as Amish by tourists since we share plain clothes and hair covering in a similar way. I often have to explain and get lots of weird looks, but I just smile. I’d love to experience a day with an Amish family, especially since I’m disabled and use a wheelchair. I struggle within my own community because most of us are still in the dark ages when it comes to disabled persons. It seems to me, the Amish seem generally most accepting, kind and accommodating of their own who have disability. I’d like to think special needs children aren’t shipped off or hidden away like I see in the ultraorthodox and haredi Jewish communities. I’d love to experience that wholesome, hardworking way of life. Bless you, Mark. You’re doing a great mitzvah educating people like myself!! Do you realize the message you responded to was 4 1/2 years old. Hello Chasyah. I had to chuckle that there are people who mistake you for Amish, as I’ve had people assume I’m Jewish. 🙂 I was in NY City years ago when a lady (I assumed Jewish) began a very lively conversation with me but I could not understand her. She didn’t seem very happy and I later wondered if she thought I was a Hasid who was dressing or acting improperly. But that’s just a guess. I don’t know how special needs people are viewed or treated in your community, but in ours we use the term “special” and mean it. There is no reason to push such a person to the side or be ashamed of them or treat them in any was as “less.” Personally I have been humbled by what I have learned from so-called handicaps. We don’t have “special” children but close friends do and learning more about that slice of life has been a blessing. When it comes to a pure, innocent, and truly special person, I think of our friend’s Down’s daughter — a real ray of sunshine. My wife & I have been inspired by “walking with” her parents through the steps of concerns & doubts, acceptance, resignation, and unconditional love. oops! Sorry I had pasted Chasyah’s comment into my reply box so I could refer to it and failed to delete all of it after writing my comment. I have always been intrigued by the Amish and the Jewish communities. It was not until now that I realized that I have seen Amish travel quite a few time through my airport (I work in Puerto Rico’s main airport). in my experience of what some might call courting an Amish fellow which in my world is very much like dating i have learned from his family and my relatives who are amish as they would say. tis better men and women work all day of their lives than lie around like a fat house cat. putting it in my own words or what i think it means . they beleive god wants us to be diligent and long suffering as well as keep our minds pure. You’ll see Amish do use a surprising range of technology but there are concrete reasons for the limitations they do have. I kinda have to agree with the Amish on this subject. Unlimited use of technology does have negative results on families and community. But we who live outside in the techno world have embraced it and we really can’t stop the impetus. Those other states include Kentucky, Illinois, Montana, and Michigan. Jasmine was a question I received. Do Amish live in Jasmine? I have no idea where Jasmine is. Must be overseas somewhere. I am familiar with the Amish in Lancaster County Pennsylvania. Lived about 45 minutes from Lancaster. Just watching the Amish fascinated me and still does. Such a wonderful, peaceful, group of people with such reverence and strong beliefs in God. Thank you Regina, I think Jasmine is the name of the lady who asked the question above? Do the Amish live in Jasmine? I am not familiar where Jasmine is. I looked it up on the Internet and only found one site where it stated that the Amish DID NOT live it Jasmine. Tell me more about this. Take care Erik. What religious denomination are you? Do the New order Amish just live in Ohio, Indiana, Pennsylvania, and North Carolina? or do they live in other places also? Also thanks for answering my question Erik and Regina. No problem Jasmine. Not to worry. The Old Amish we always considered to be “Old Mennonites” and the New Amish were considered to be the “New Mennonites.” If this is what you are referring to the Old and New Mennonites lived in my home area of PA. the Old Mennonites still remained rather strict in their attire, lived very plain and some had cars (black in color) and “some” had TV’s and radios, but remained pretty close to their sect. The New Mennonites were more relaxed. They did have TV’s, Radio’s and modern appliances, bit did have black cars and lived modestly. Some did however still wear there little bonnets. I had become friends with a family of New Mennonites and loved being around them. Learned a lot from them too. Both “orders” are extremely religious and remain close to there Christian faith and are so peaceful to be around. Now, if there is a newer sect/order of Amish, I am not familiar with it. Only the “Old and New Mennonites” which are off springs of the original Amish. That is something I will do was research on, however. You peaked my interest. Take care and God bless you Jasmine. I grew up Old order Mennonite in Rural Waterloo County, Ontario, Canada. I have moved far away from that heritage both in physical distance and believe. I now live in Vancouver Canada in what some of my American friends call “The Left Coast”. If you are in the USA and look North Vancouver is to your left on the Pacific Ocean. In answer to the question, There are Amish Mennonites who have dropped the name Amish and who identify as Mennonite yet you would not know it if you met them or walked into their homes. They have, radio, TV an computers just like the rest of us. There are other churches who have dropped the name Mennonite completely yet can trace their heritage directly to the Old Order Mennonites. There have been many division within this group. So of the oldest was the split between Amish and Mennonite. Most divisions occurred because of disagreements regarding things like cars, Sunday school and many other minor (from an outsider’s view) differences. In Southern Ontario alone there used to be over 30 distinct different groups of Mennonites. I used to say that all Amish were Mennonite but not all Mennonites were Amish. However some more recent research would indicate that Amish did not branch off and keep the Mennonite name. Even with those 30+ different groups one uncle decided that he had to move his family to Virginia to worship with a very small group there that was not represented in Canada. Mennonites generally are more conservative but conservative is a moving target depending on what you are using for comparison. My wife and family grew tobacco. Was it sold for smoking or chewing. Her Mom once told me they made cigars. Does this practice go on in old and new order? It would say yes, they still grow tobacco. The non-commercialized ways still do exist, and that’s why they may still want to do that. Also they can trade or sell within their group. I’m am just curious. I like to learn all I can about the Amish. (article explaining Anabaptist. Look at the whole article. It’s is a bit intense reading, but factual. Do the old order amish except the new order amish at all ?? Like as fellow church members ? Or are they completely seperate ? Question regarding special needs children within both new and old order. .. I have done extensive reading on both the Old and New Order Amish, but I have never heard how either group handles dealing with special needs children. Even with modern technology its difficult enough on the outside world. How do they do it? I’d be interested to know. Thank you for your time. How Old order Amish deal with special needs children. Old order Amish and Old Order Mennonite are or at least used to be to a large extend farmers. Mainly their families stay together and usually special needs children are integrated into the families. I had an aunt who was pass from one family member to another. She was given the opportunity to contribute to whatever extend she could. Beyond that she was looked after by family and made to feel accepted and useful or at times pitied. A greater problem occurs for those who manage to fend for themselves. Their struggles are mainly ignored and never talked about. If it can be ignored then it does not exist. This is a very sensitive and painful issue for me. In terms of education, there are various special needs arrangements including classes in Amish schools or provided by the public system. How would I cite this? I’m doing a research paper on the new order and old order amish and I am not sure how to cite this in MLA form, does anyone know how to cite it? Do any New Order still live in Lancaster County? I was just wondering if there are still New Order Amish in Lancaster County, and would appreciate it if someone here could tell me. I can’t find any stats online. Thank you! Mary, the New Order church in Lancaster Co. disbanded. Some members joined other churches or moved to other communities, a few returned to the Old Order. Info about New Order Amish. I would like to know more about the New Order Amish communities of Michigan and Montana. I would also like to know there locations. I like everything I have read about them so far. There abstinence of tobacco and alcohol impresses me, there missionary beliefs impress me,there acceptance of outsiders impresses me, and there outlook of salvation impresses me. These characteristics impress me a whole lot more than old order Amish. None of what I have listed above is characteristic of old order Amish. I was raised in an environment that was never at anytime peaceful. There is nothing I have ever wanted more in my life than just a quiet peaceful Christian life to live. I can not think of a better way for a Christian to live out his life that is not surrounded by alcoholism, fornication, adultery, daily profanity, lies, deceit, and death. All I want is daily peace. I would also like to know more about the Old Order Amish that live in Charlot Michigan and Homer Michigan. I have met these people and even thou they are old order, they seem to be very peaceful in there daily lives. At one time, Amish life appealed to me. Now i realize it is not their way of life, but that they value good food without chemicals and other toxins. As far as the Christian part goes, that is a big reason why it no longer appeals to me. technology is a double edged sword, on one hand, you can learn a lot about people and other things (online dictionaries) on the other, you dont excercize, and it makes you lazy. Leave a reply to What’s the difference between New Order and Old Order Amish?